Team Trident Press’s monthly RISO Beginner’s Course – learn the basics about risography and how to use it right. We’ll be using the RISO at Partisan to explore the machine and understand how to make use of this unique printing method for DIY projects like zines, flyers and posters. Each participant will be able to create their own two colour A3 print or A6 size zine (8 pages). Workshop ticket price: £6 if you self-identify as BAME/POC/LGBTGI+, £12 low-income/student, £24 waged, £36 extra support. Free to Partisan members/asylum seekers/job-seekers. Donations welcome. Accessibility: The workshop space is currently not accessible to wheelchair-users. All profits of the workshop will go towards our funding pot for a ramp and lift to make Partisan Collective more accessible. 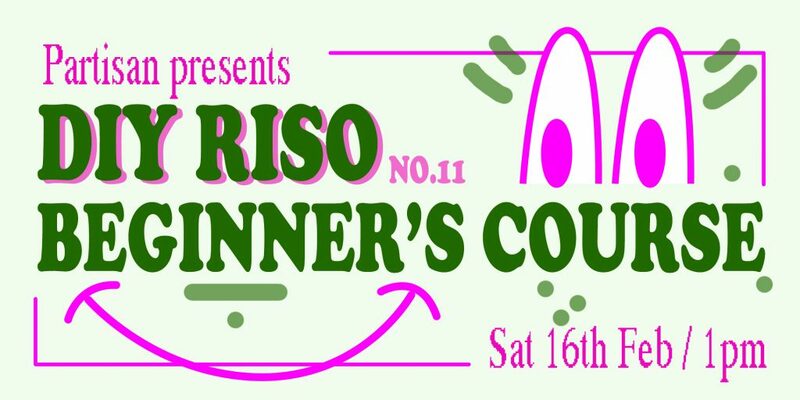 If you would like to continue using the RISO after the course, please sign up for an annual Partisan Membership here: http://partisancollective.net/membership/ and attend our monthly RISO club, a space for risography enthusiasts, newbies and experienced printers to collaborate, get printing done and socialize. Watch the Partisan events calendar for updates and news on dates.